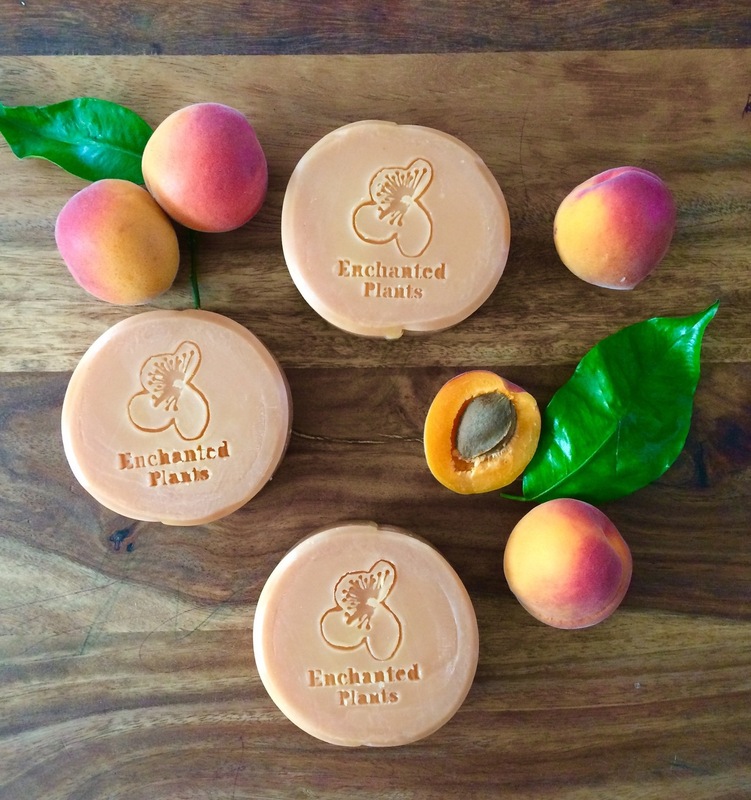 Apricot Facial Soap | Enchanted Plants Ltd.
Apricot Facial Soap is a limited edition to our current facial range. 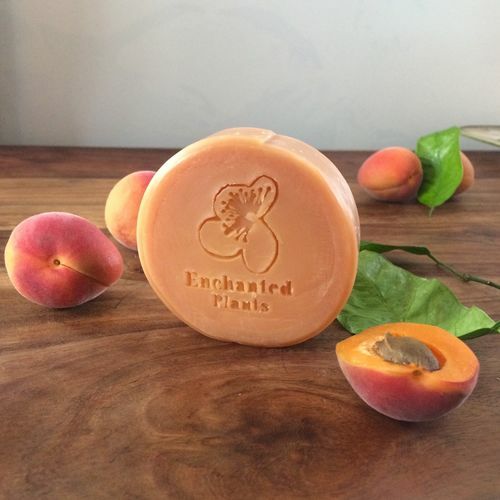 It was a Soap I made which everyone loved before our organic certification process and we had and continue to have difficulty getting the paperwork necessary for the beautiful raw organic Sea buckthorn juice powder we use in the recipe to certify it as part of our organic range. Hopefully we'll get there. So in the mean time I've made a small batch as we've had so many requests, limited numbers so stock up while you can and i'll work hard on getting it official. 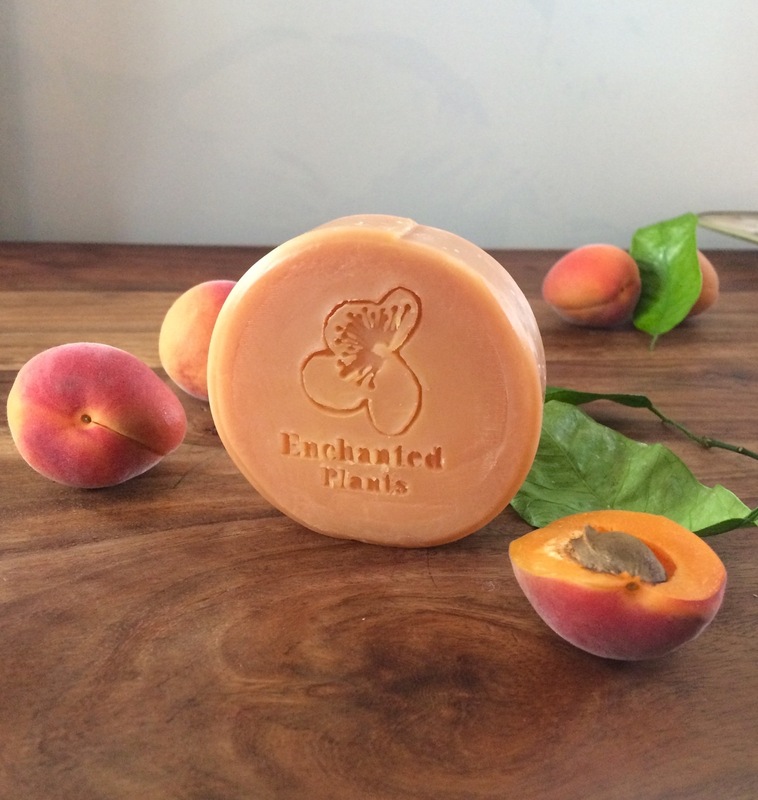 The soap is super gentle and nourishing with a creamy lather from lashings of organic Apricot kernel oil and vitamin rich Sea buckthorn juice and natural vitamin E from sunflowers. Repairing Immortelle oil and uplifting sweet orange oils made it a pleasure to use daily. Perfect for anyone who loves a luxurious natural and gentle daily cleanse. 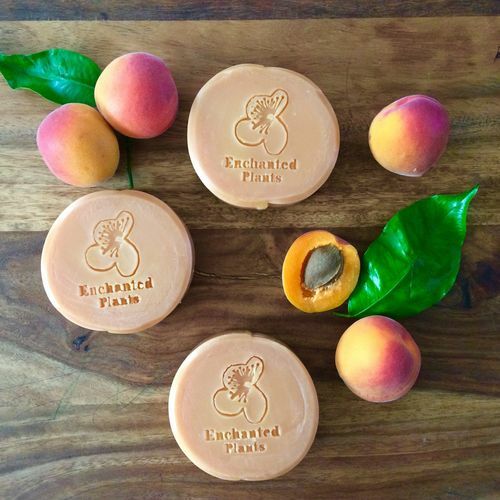 Ingredients: Sodium Cocoate (Saponified Coconut oil), Sodium Sunflowerate, (Saponified Sunflower oil), Aqua (water), Hippophae rhamnoides (Sea Buckthorn juice) powder*, Sodium Cocoa Butterate (Saponified Cocoa butter), Sodium olivate (Saponified Olive oil), Prunus armeniaca (Apricot Kernal) oil*, Citrus aurantium (Sweet orange) oil*, Helichrysum italicum (Immortelle) oil*, Tocopherol (Vitamin E) (Tocopherol. Citral, Citronellol, Limonene natural allergens in Essential oils. * From organic agriculture.